It usually comes as an enormous surprise to unloved daughters that there are other girls and women out there who had similar experiences, who were also ignored, dismissed, put down or marginalized by the very individual who was supposed to love them unconditionally. Beginning in childhood and even into adulthood, most of these daughters bear the awful burden of thinking that they’re the only children on the planet singled out in this way. Their hurt is amplified by a code of silence that surrounds this taboo subject. And they tend to keep silent themselves. Why is that? The reasons vary according to the daughter’s stage of life. These observations are drawn from stories unloved daughters have shared with me. The idealization and myths—that all women are nurturing and that mothering is instinctual—are presented as truths to little girls and they believe them. Of course, if these are true, there has to be something terribly wrong with the unloved daughter for things to be as they are. Not surprisingly, she’s likely to feel ashamed as a result, and her unloving mother becomes the big secret the child feels she has to keep to herself. If she doesn’t, she might end up being even more alone. A child’s world is very small, and it’s ruled by her mother whom the child has made Queen of the World because she needs her love and approval so badly. Her mother is also the last word on how the events in that little world are to be understood: “You were naughty so I had to punish you” or “Good girls don’t break things but you did” or “Stop skipping. Walk normally. It’s irritating me.” (The last, if it were in Dutch, would be a direct quotation from my childhood.) This too shames the child and underscores her sense of unworthiness and inability to do anything right. She despairs of ever getting her mother to love her and worries that, maybe, her mother is right about her and then no one will ever like or love her. That’s a good incentive to keep your silence. Her need for her mother’s love remains unabated, and she’s still trying desperately to win it. Confrontation—articulating what’s never been acknowledged—is, for many daughters, out of the question because it’s giving up and acknowledging that she will never get the prize she’s after, her mother’s attuned affection. The key thing is that a daughter’s recognition of her wounds (and who wounded her) absolutely coexists with her continued quest to gain her mother’s love and support. She wants to be “normal” and fit in. 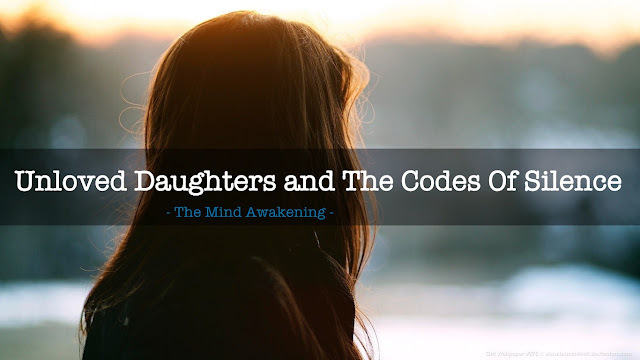 Since one of the legacies bequeathed by an unloving mother is often a distrust of other girls and women, and difficulty forming friendships, the last thing an unloved daughter will do during adolescence and even later is to share information that will set her apart. I didn’t confide in anyone, not even my boyfriends, until I was in therapy in my early twenties and I began to realize that my mother’s lack of love for me reflected on her, not me. For example, it was only after Mean Mothers was published (I was 60!) that a college roommate of mine tracked me down, confessing that she’d had a cruel and withholding mother! We’d shared a room the size of a closet, had been friends and visited each other’s homes that sophomore year, but never said a word about our mothers. Of course, since unloving mothers tend to behave well when there’s company in the house, neither of us noticed a thing. We only broke the code of silence forty years later, when each of us had grown children of our own. She’s afraid no one will believe her or, worse, say it’s her fault her mother didn’t love her. The sad truth is that this fear is more legitimate than not. Generally, people really want to believe the myths, especially the part about the only kind of unconditional love, and they tend either not to believe an unloved daughter or to think she’s exaggerating, especially if it’s “only” (yes, I am being ironic) verbal abuse. The most otherwise understanding friends and lovers, especially if they had loving or even good enough mothers, often don’t get it. They sometimes believe that it just couldn’t have been as bad as you say because “look at how you turned out” and other statements like that. People have trouble believing the truth which is that, sometimes, there’s a hot mess still mourning the mother she deserved under that outwardly polished and successful exterior. Ironically, it’s when the healing starts that unloved daughters finally find their voices and the courage to break the silence. If you are a friend of an unloved daughter, please sit and listen without judgment. Things are not always what they seem. And if you are an unloved daughter, you are not the only one on the planet. Really. Not by a long shot. #breakthecodeofsilence.